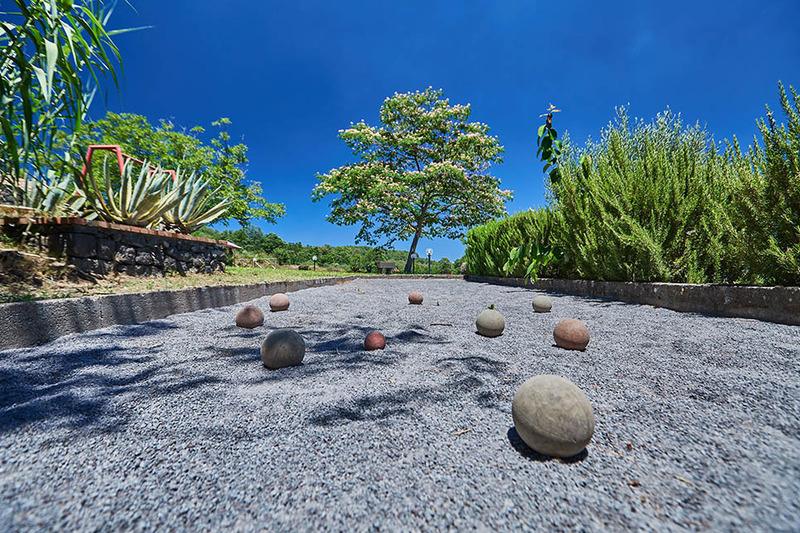 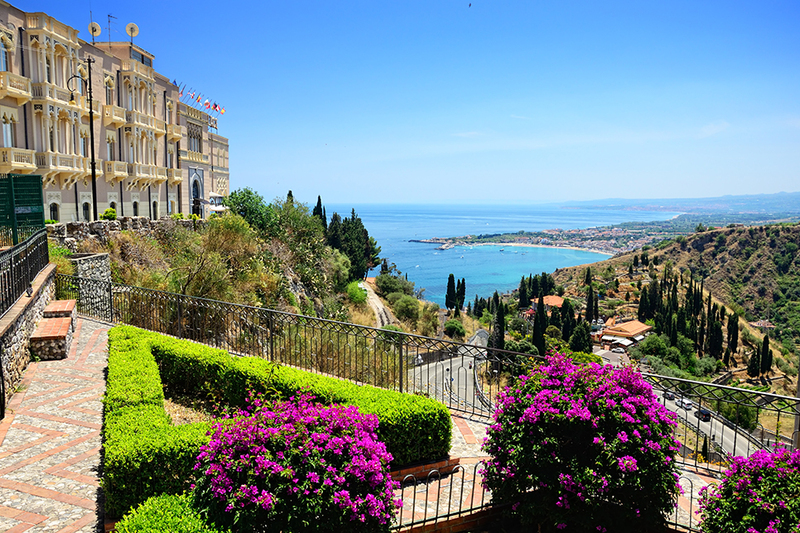 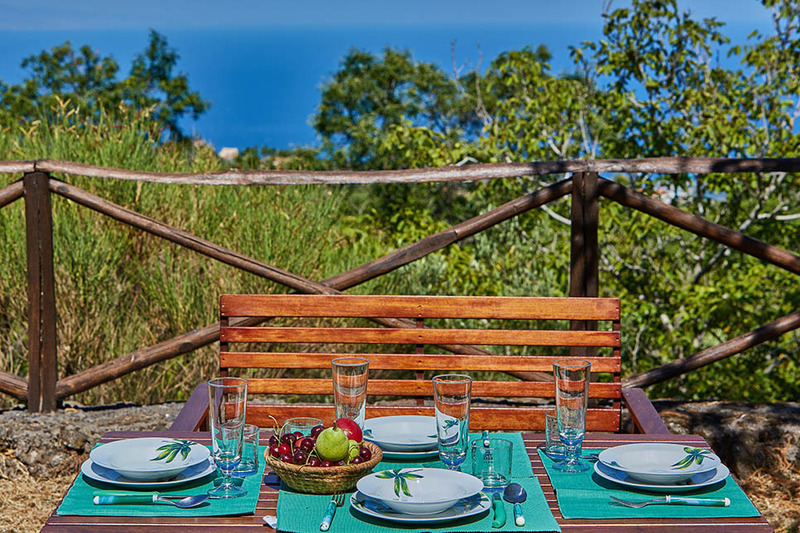 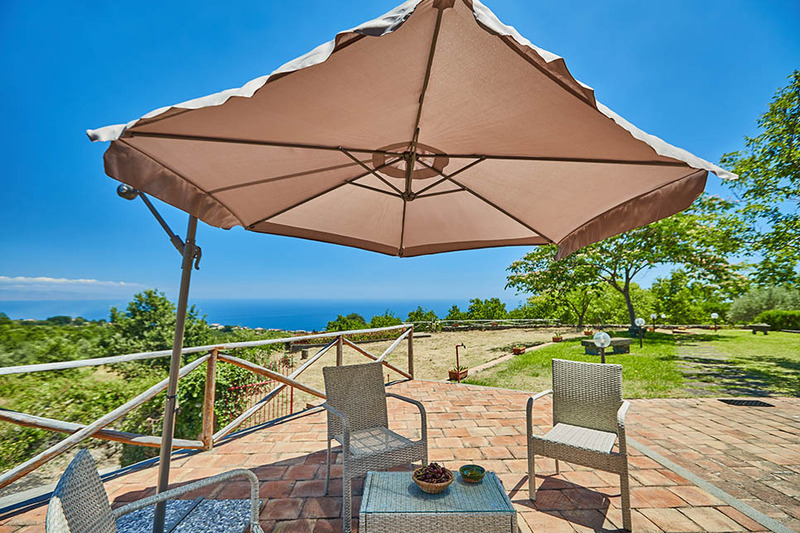 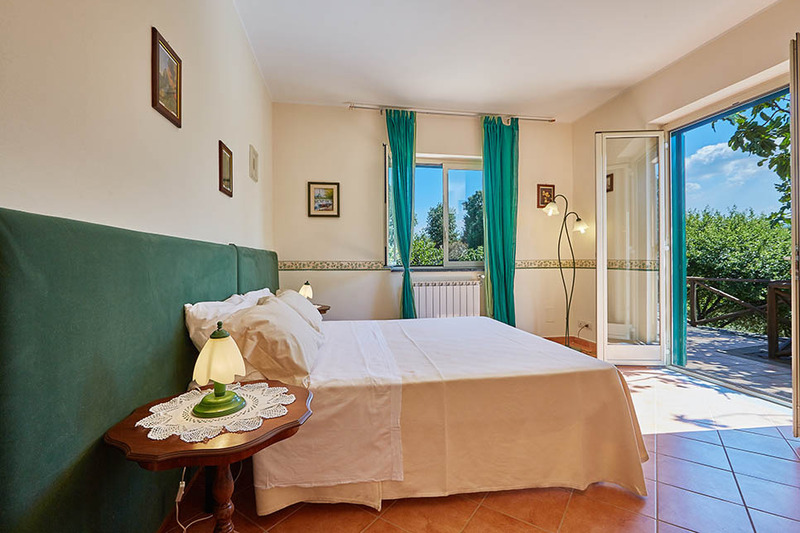 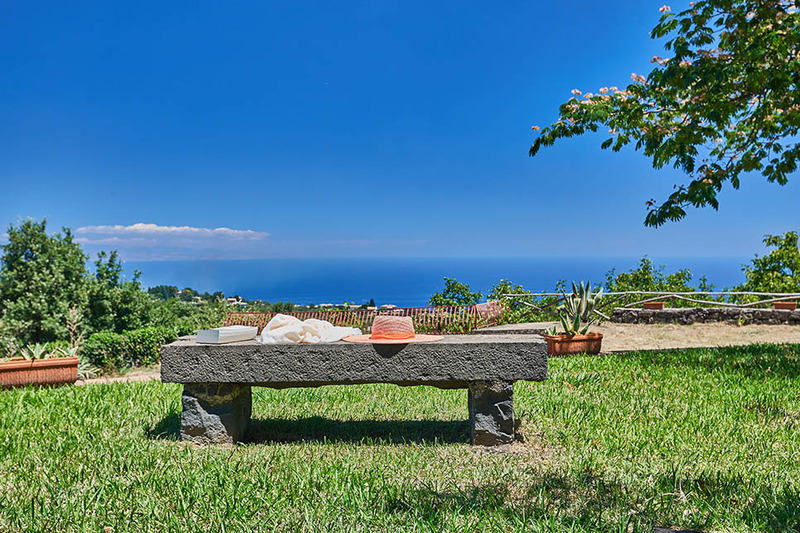 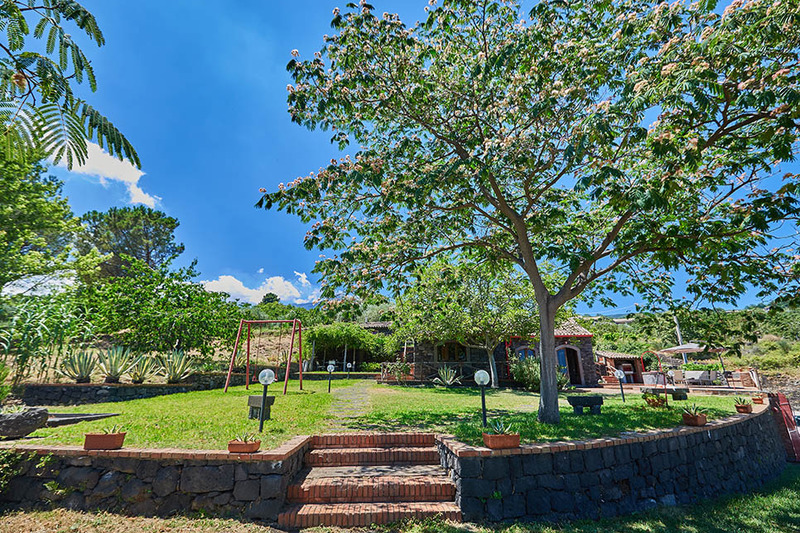 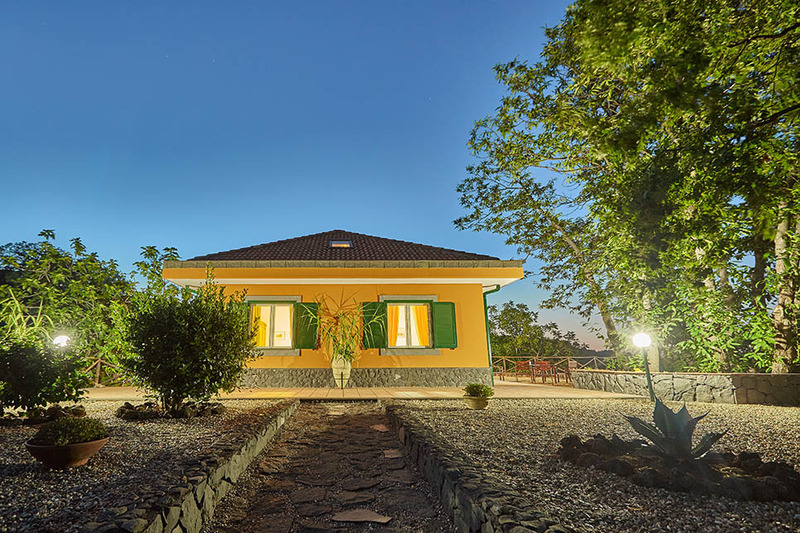 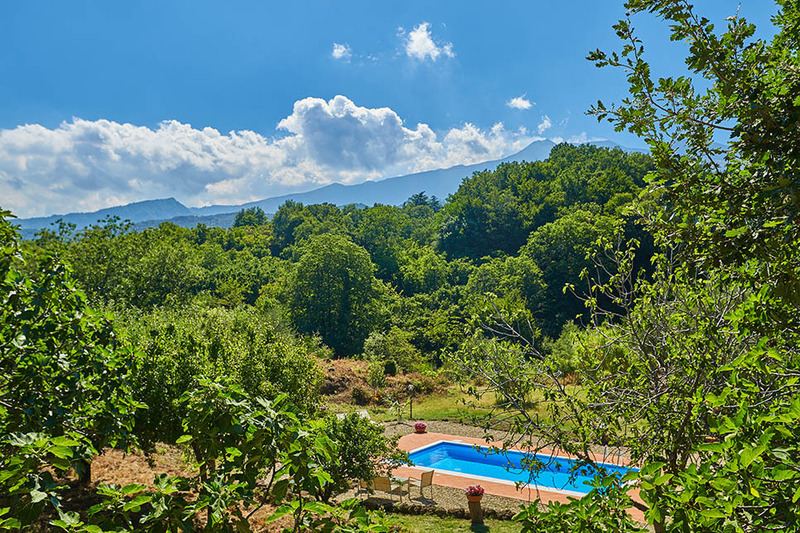 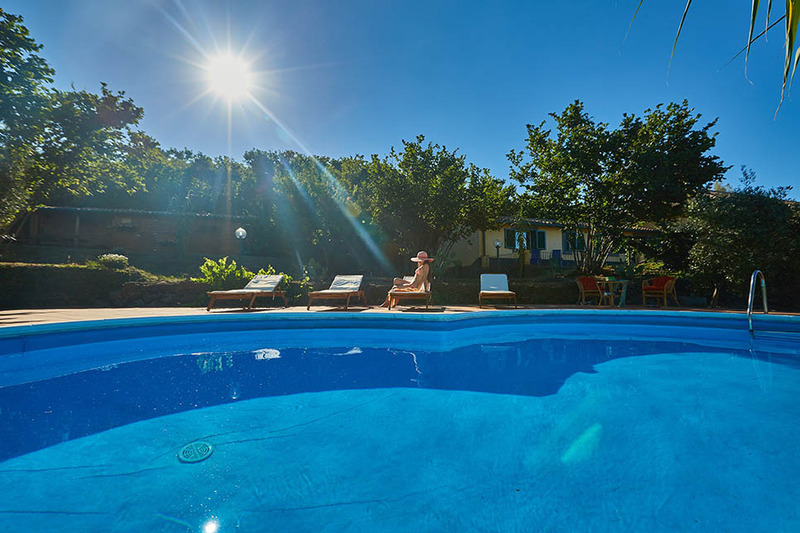 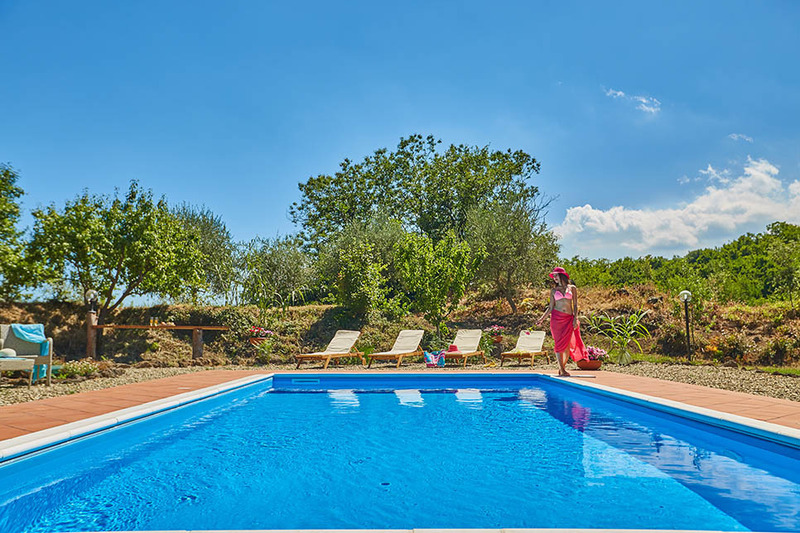 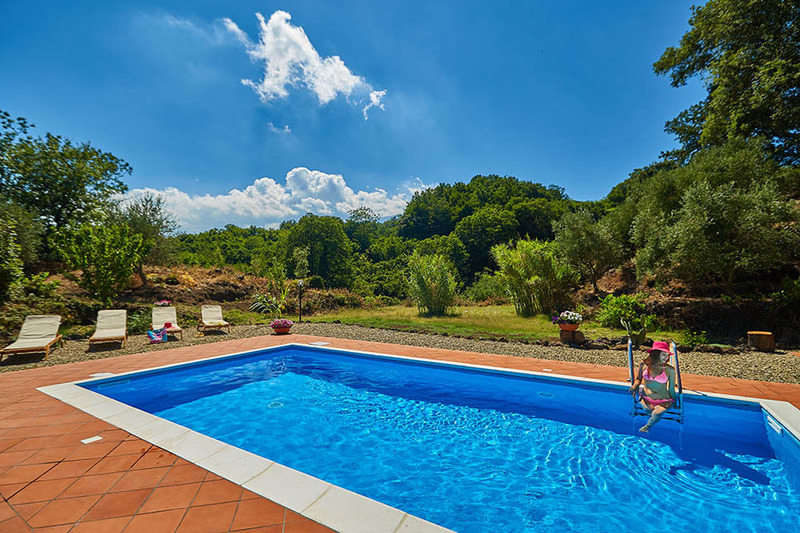 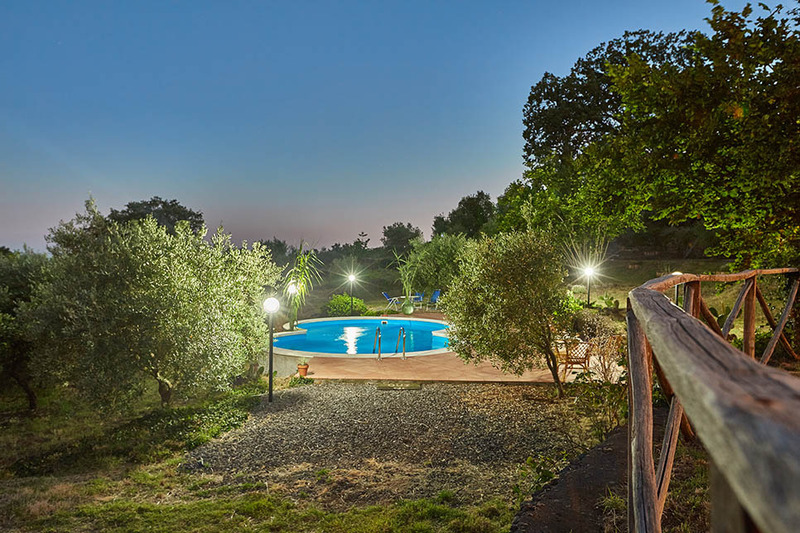 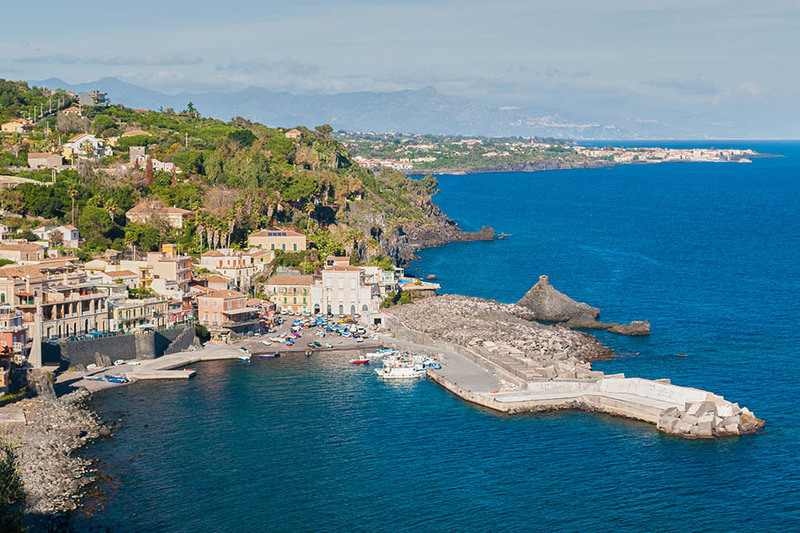 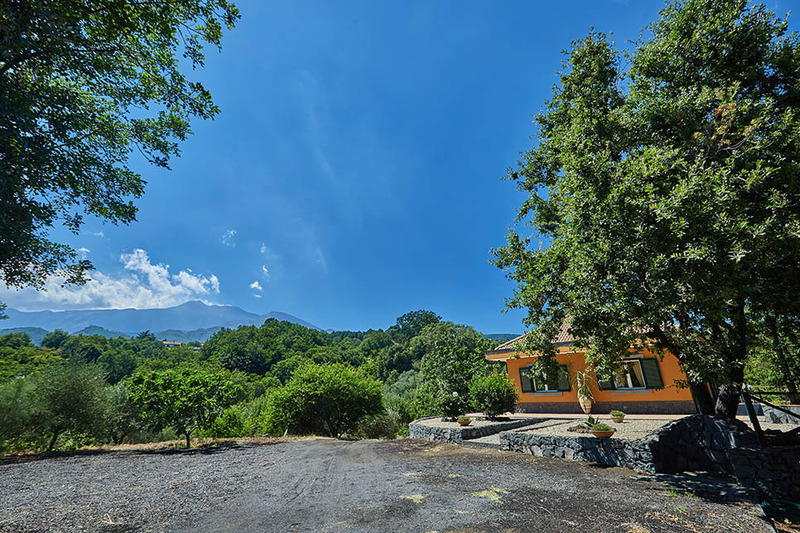 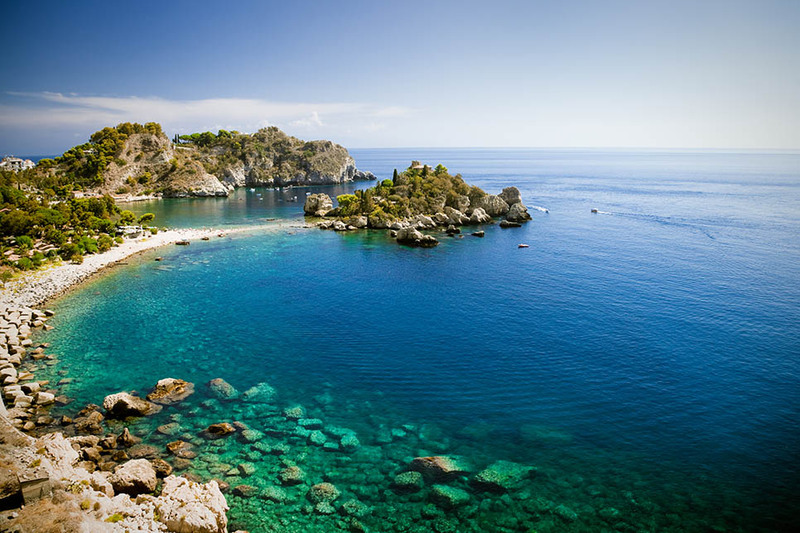 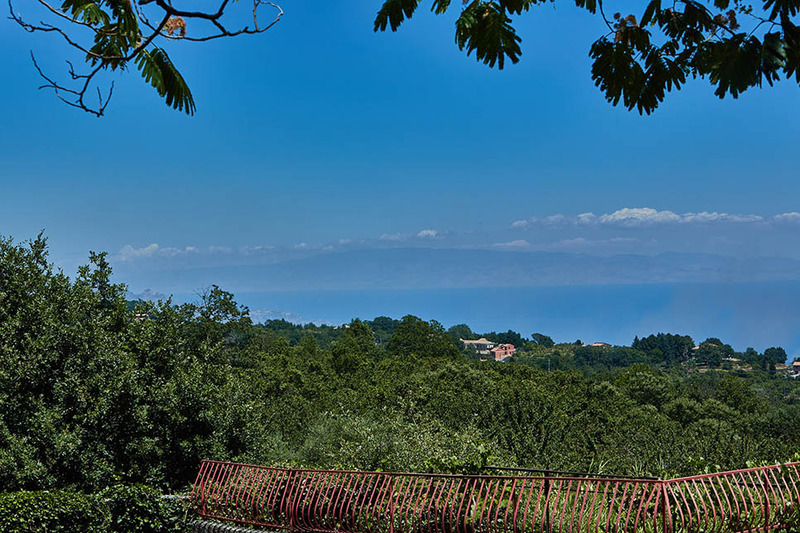 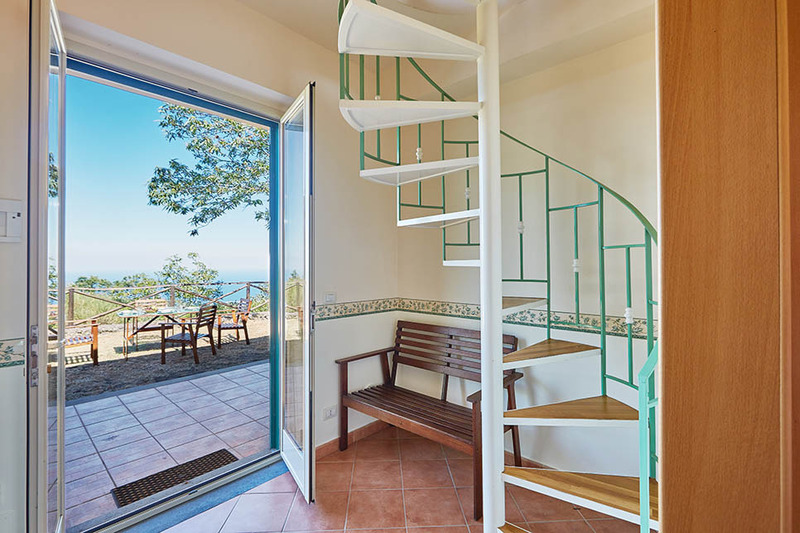 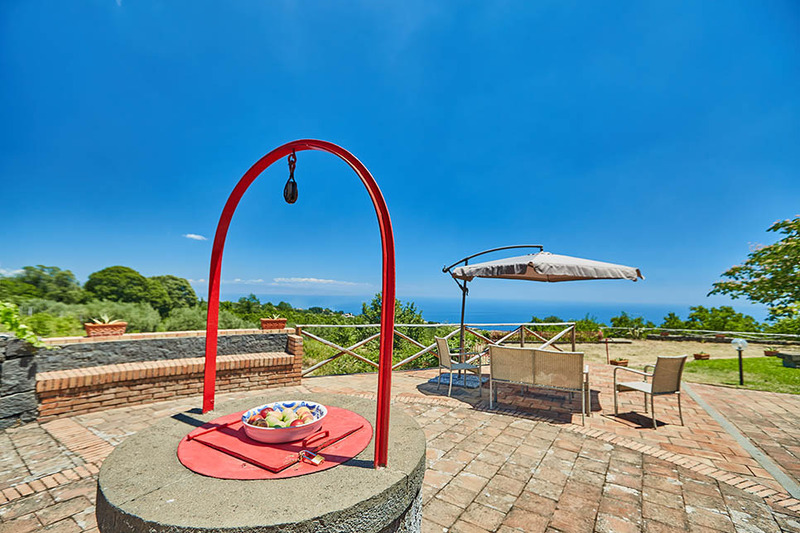 Situated between the slopes of Mount Etna and the coastline that runs from Taormina to Acireale, Le Case dell’Etna is a collection of three villas and two pools set amidst leafy lawns and terraces close to the village of Sant’Alfio. 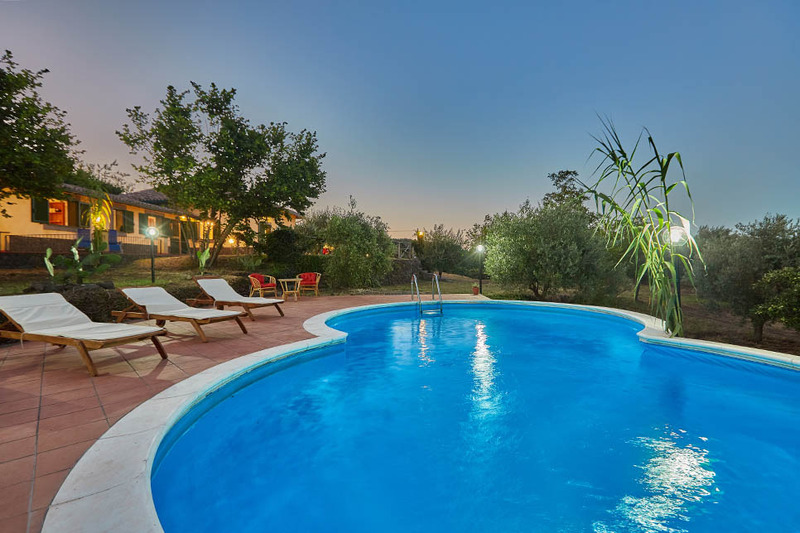 The villas are ideal for several families who want to holiday together whilst still retaining some independence. 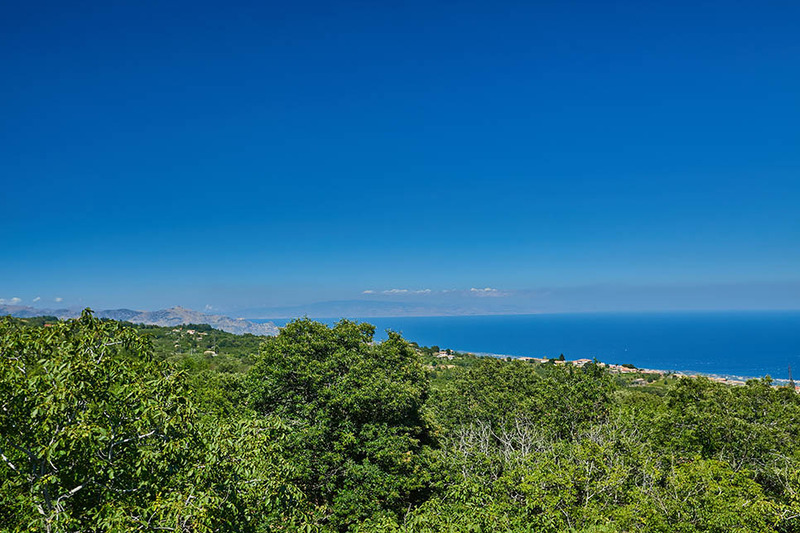 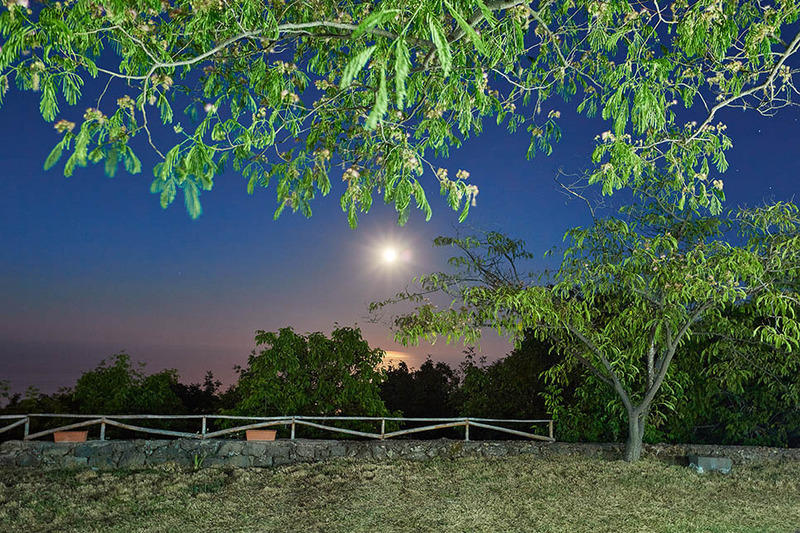 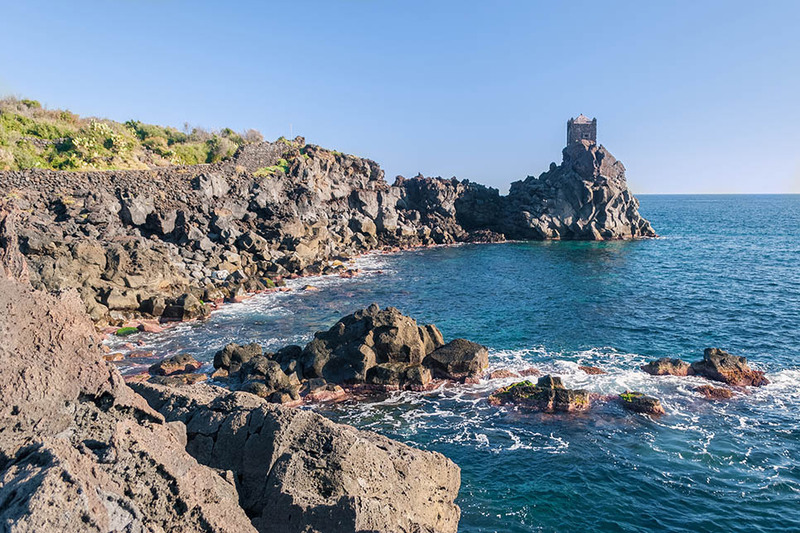 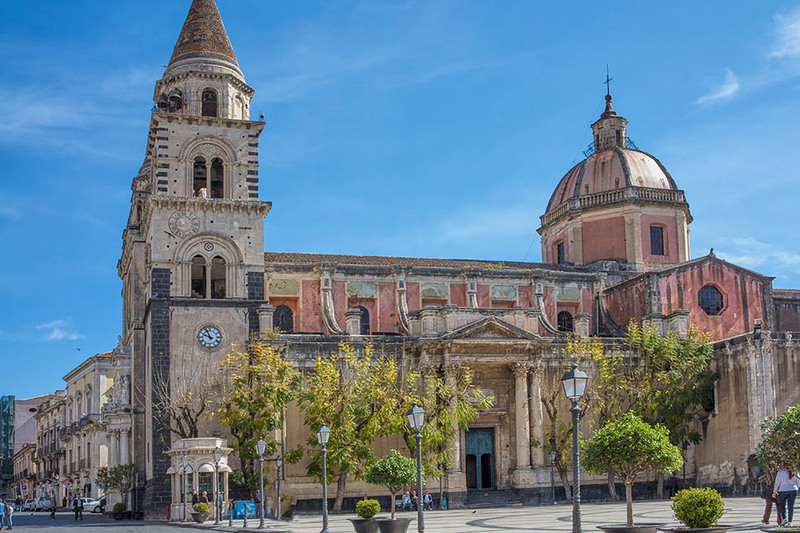 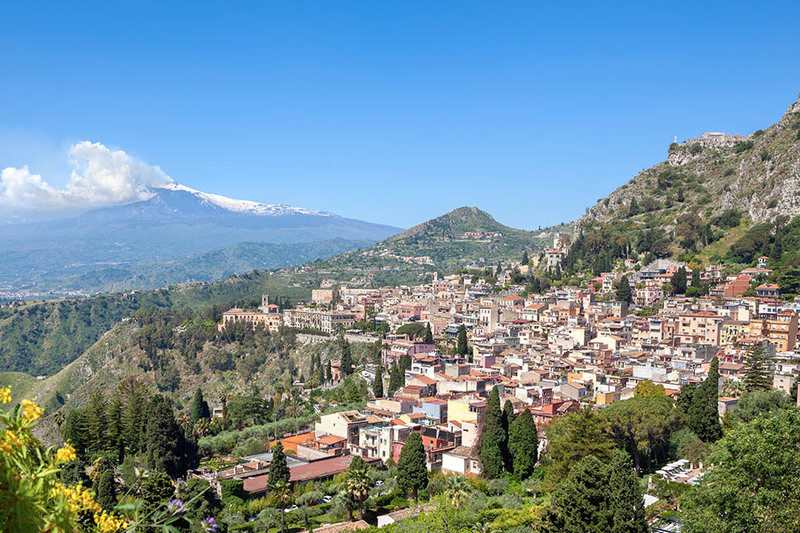 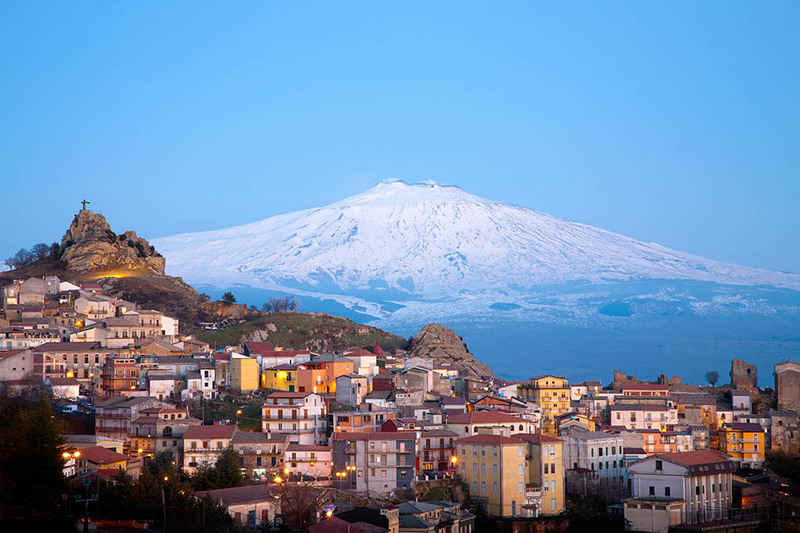 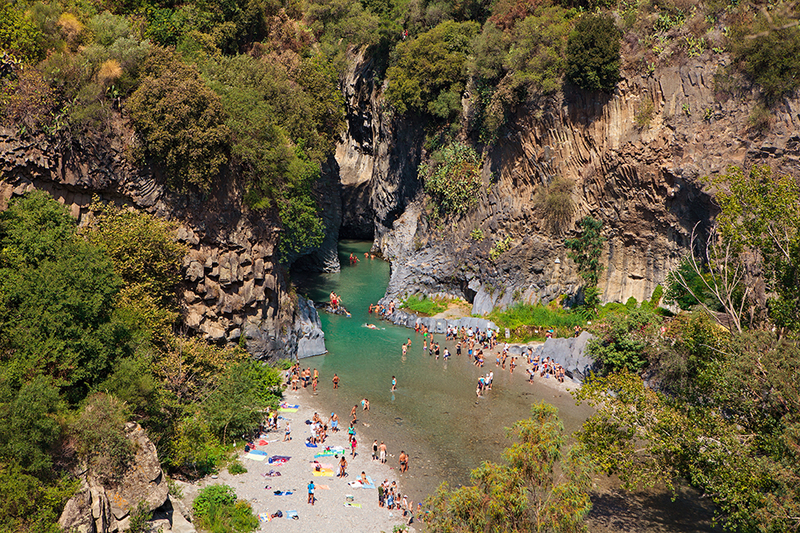 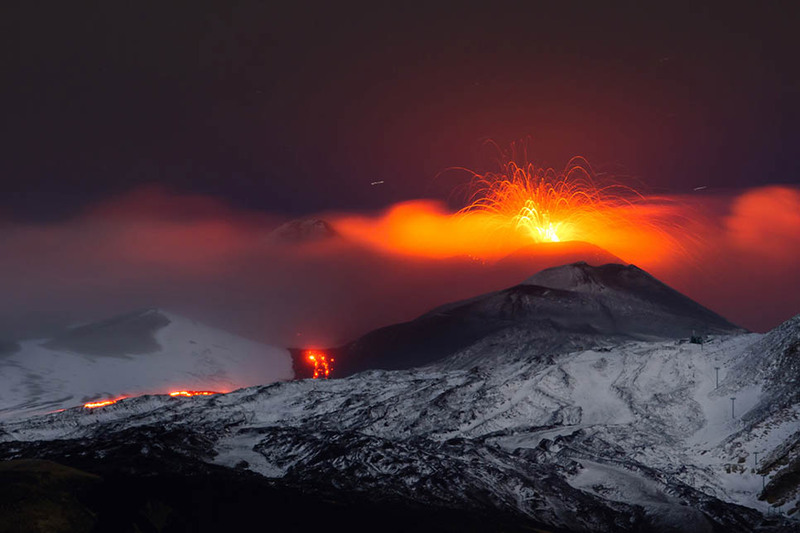 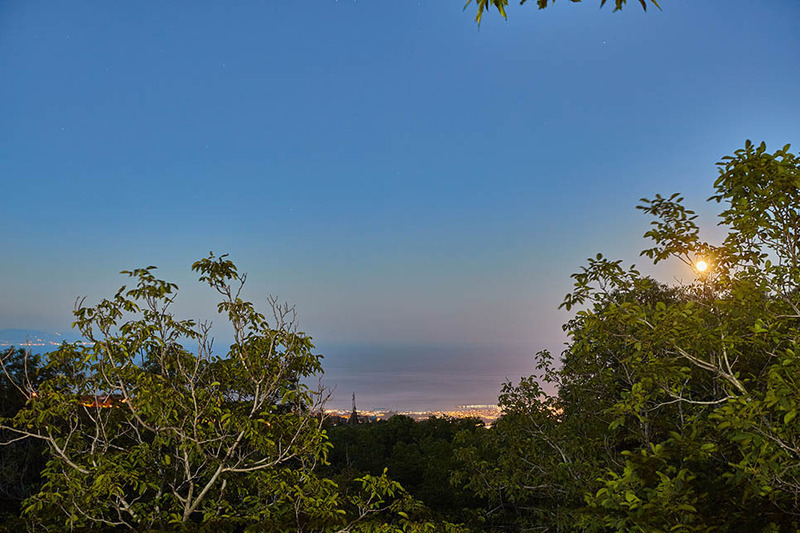 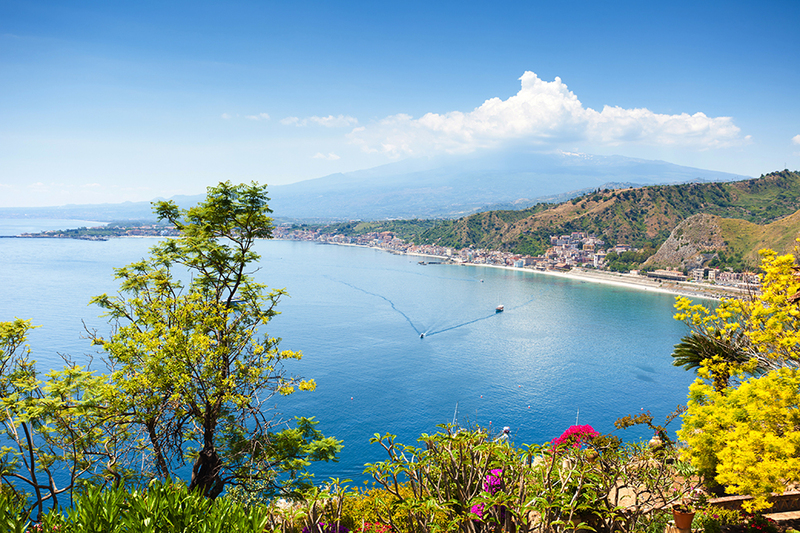 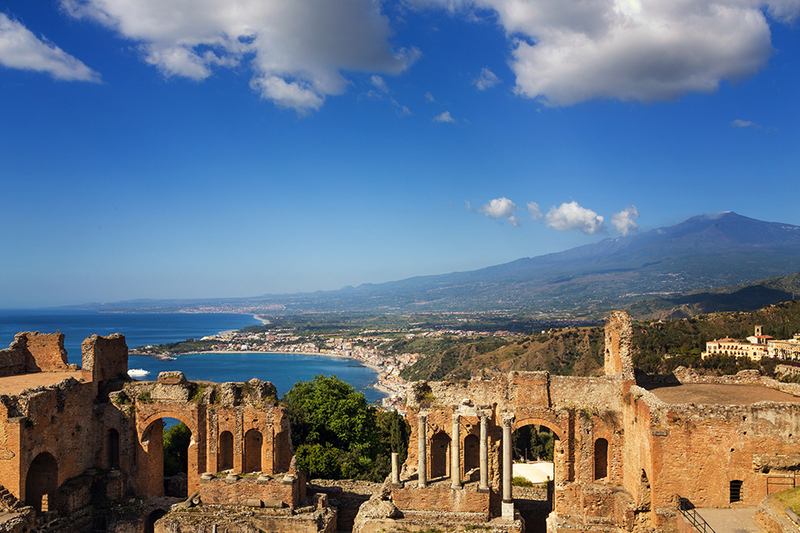 Top local sights include Mount Etna and the Castagno dei Cento Cavalli, reputedly the oldest tree in Sicily and one of the oldest in Europe. 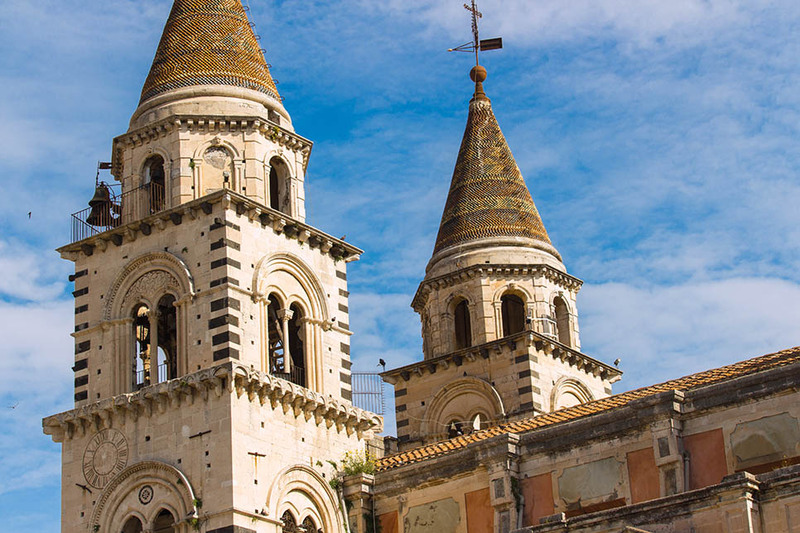 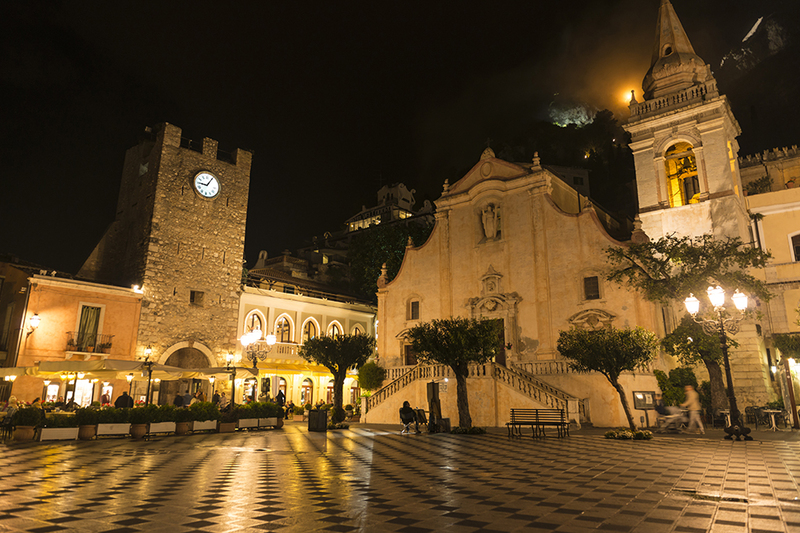 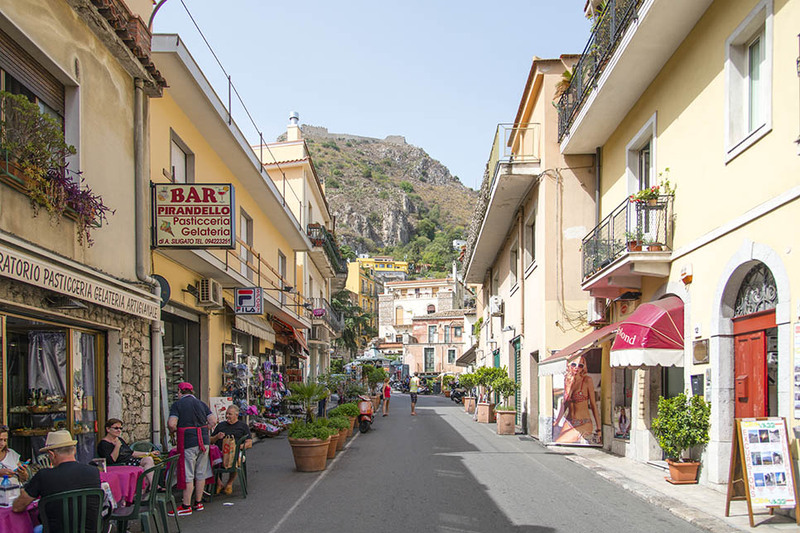 The nearest shops are in Sant’Alfio and there is a good selection of restaurants in Giarre. 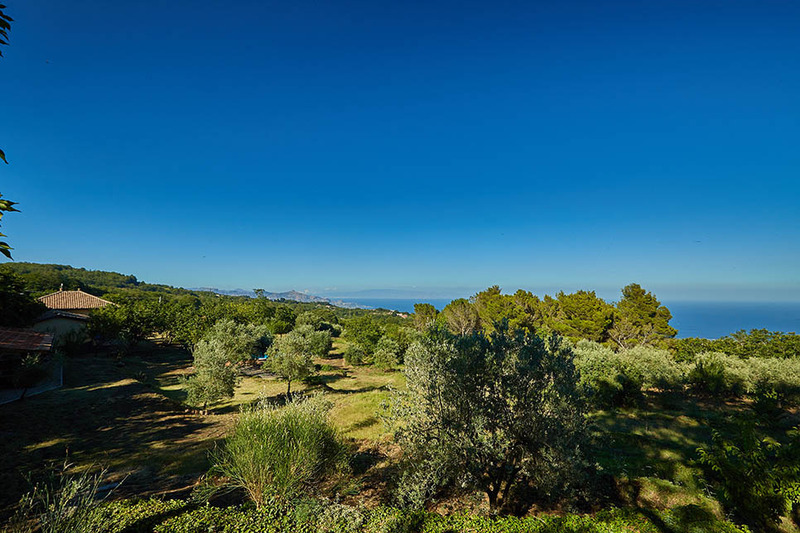 Children will love the huge amount of open space available on the estate. 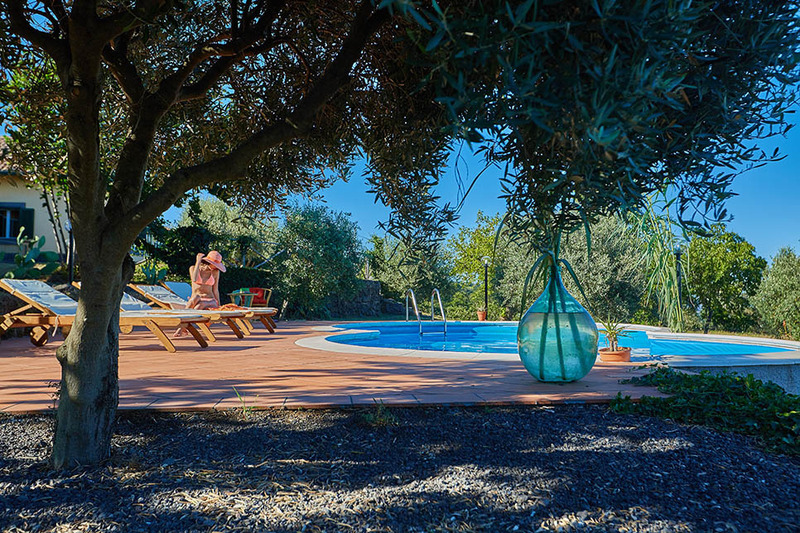 Large sun decks surround the two pools and beyond that, there are lawns and terraces for outdoor dining. 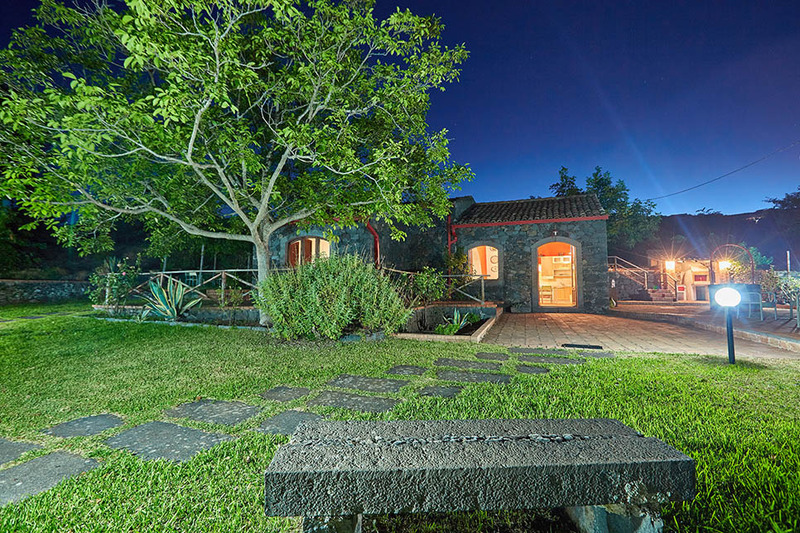 The three villas are completely independent and set far apart from each other. 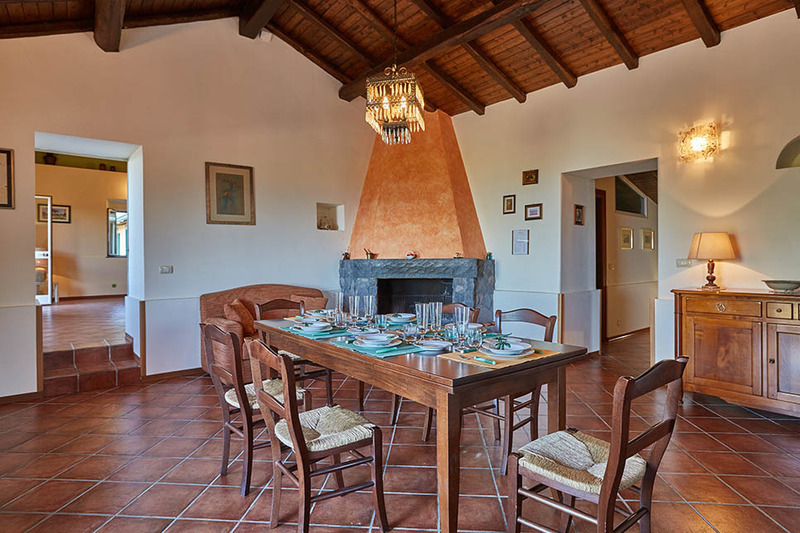 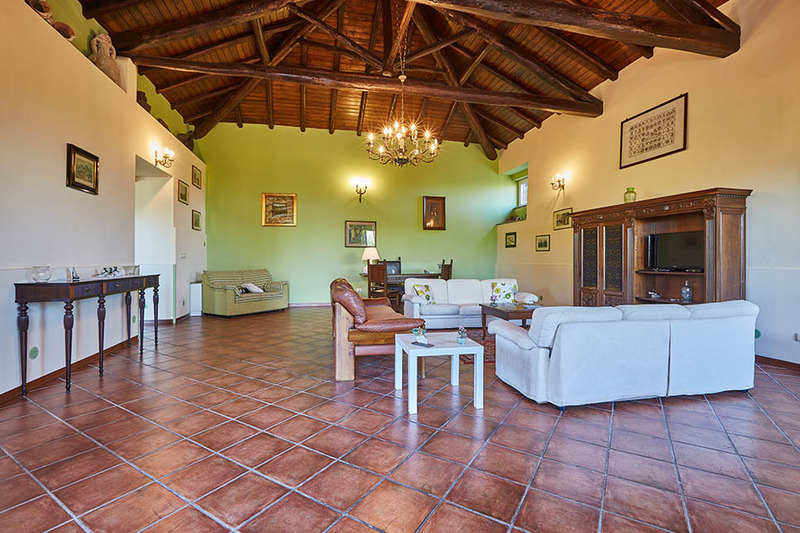 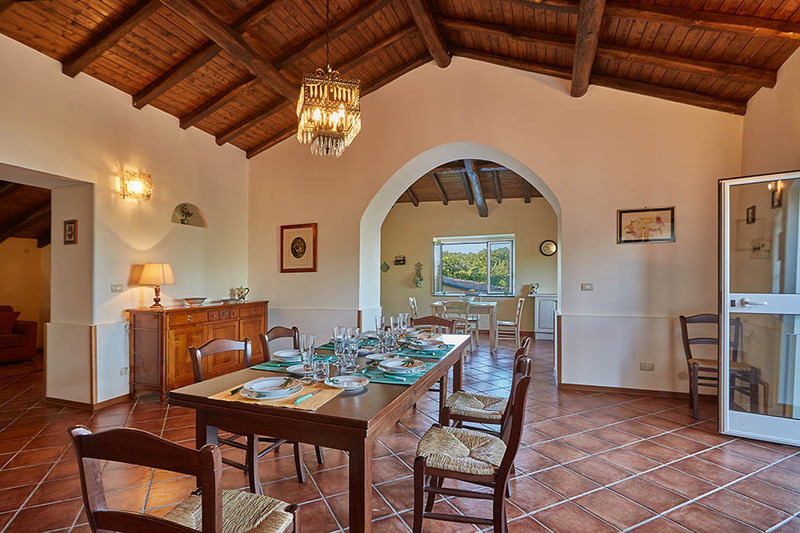 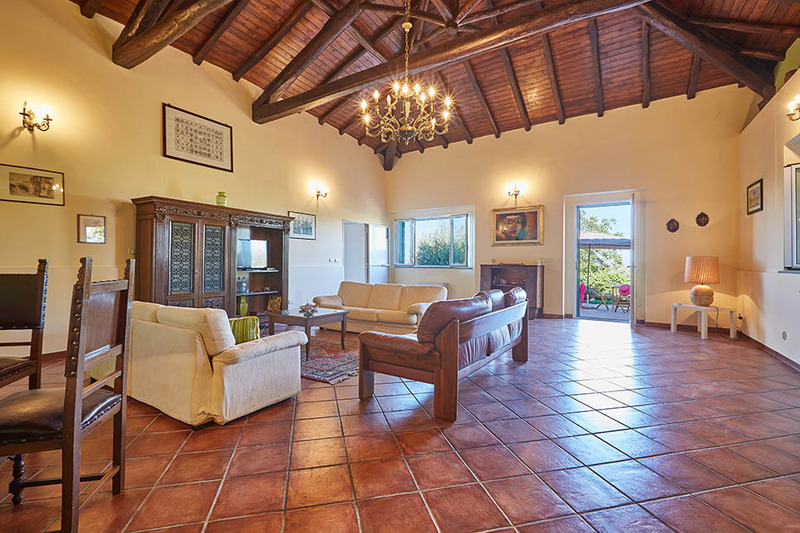 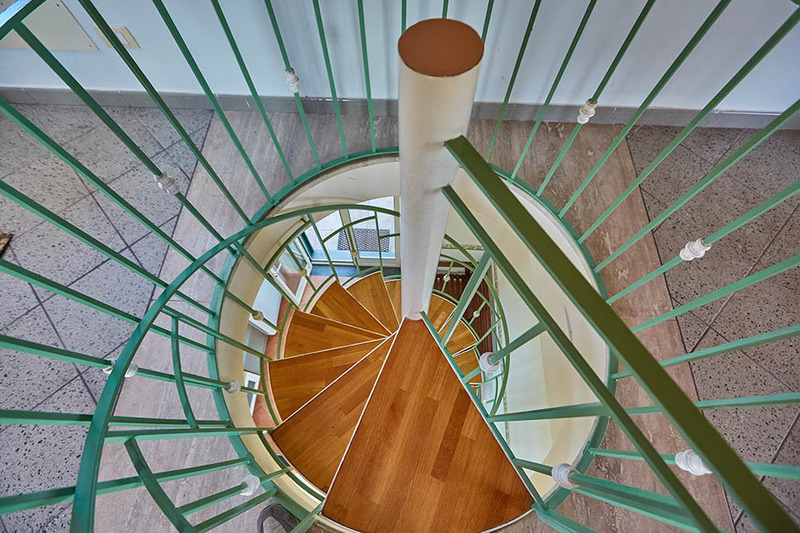 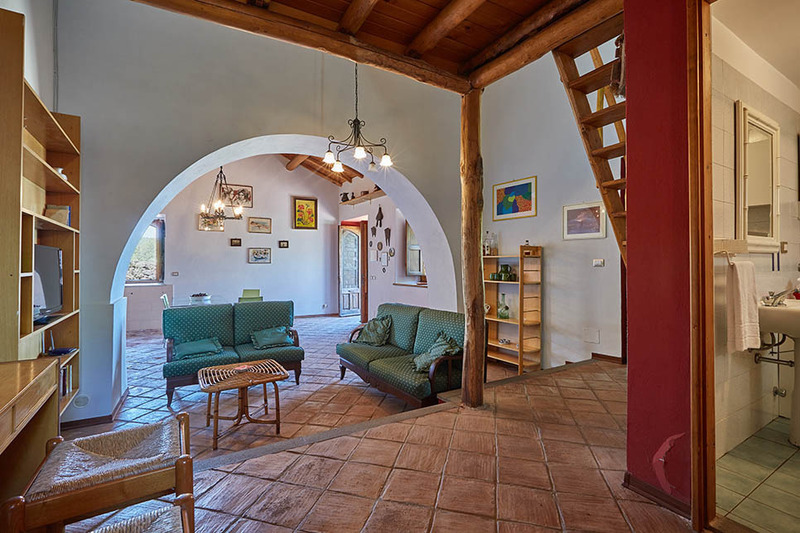 Casa Gialla has the largest living space, with a sizeable living room and a separate dining room with an open fireplace. 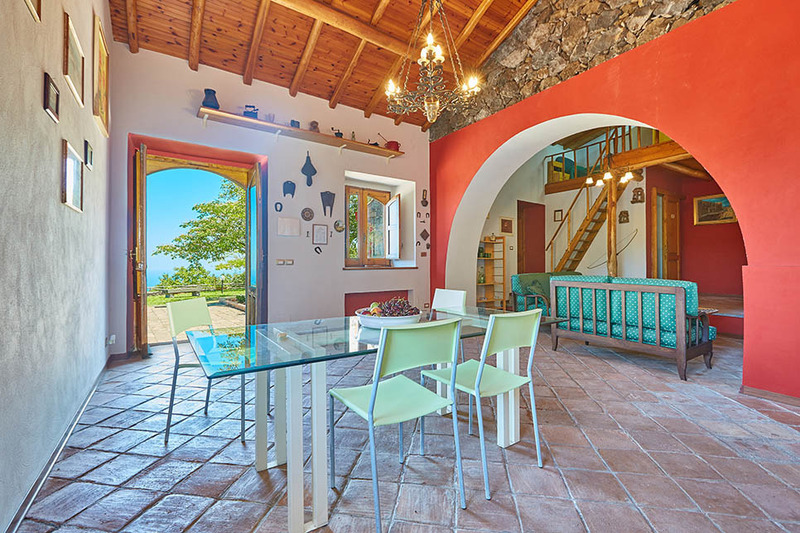 An archway leads from the dining room to the roomy open plan kitchen. 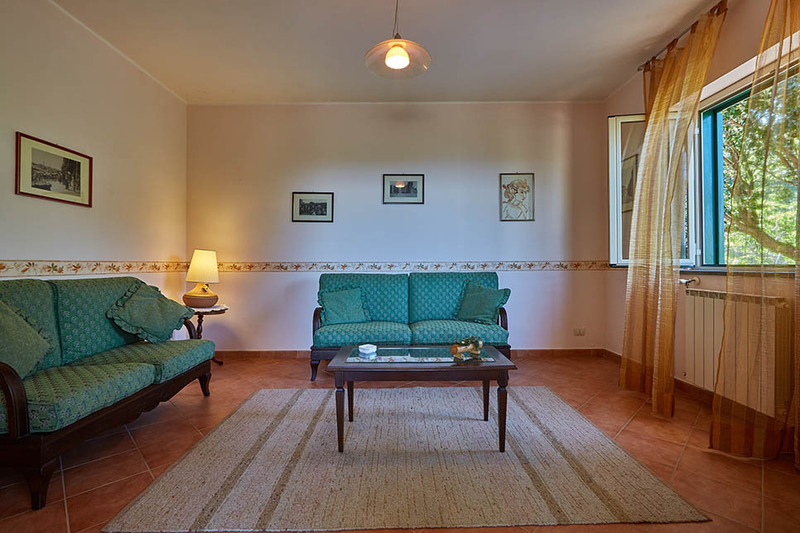 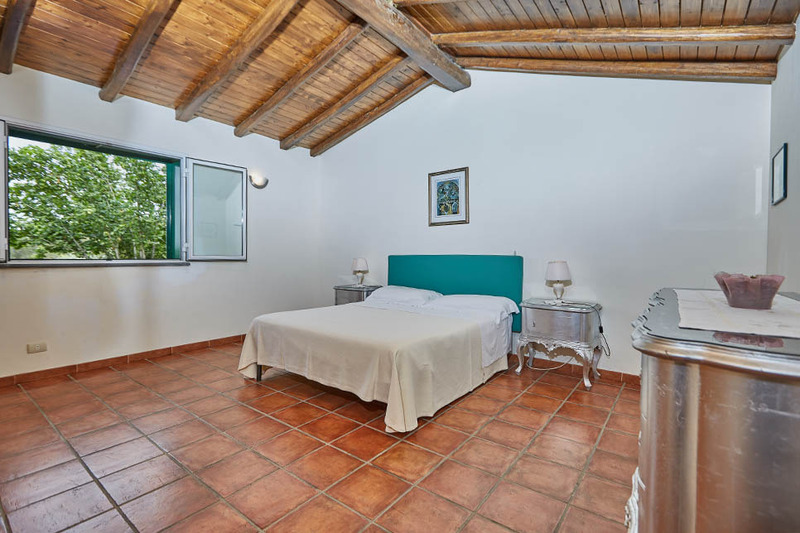 The villa has three double bedrooms plus a sofa bed and two bathrooms (each with shower). 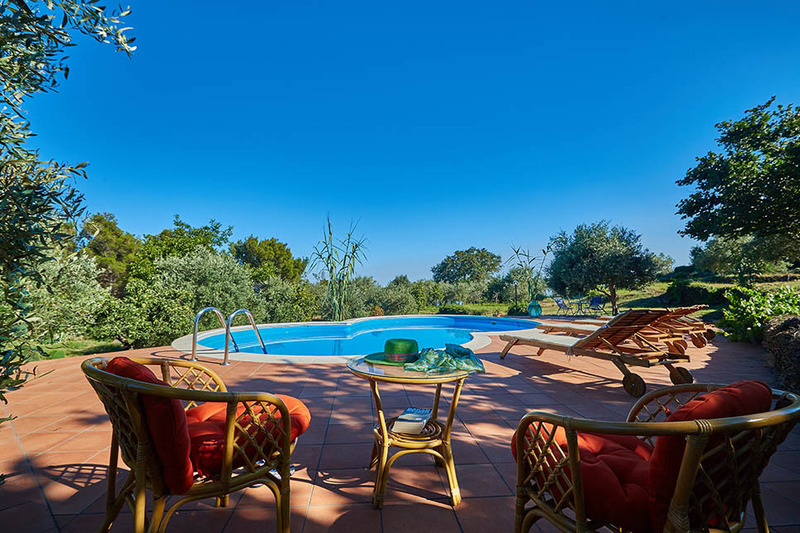 Outside, a lovely 8 shape pool with seaview and furnished solarium. 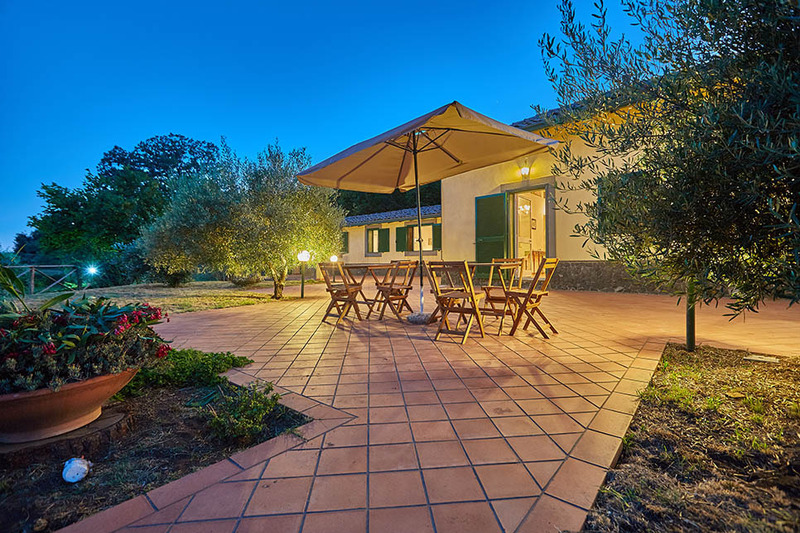 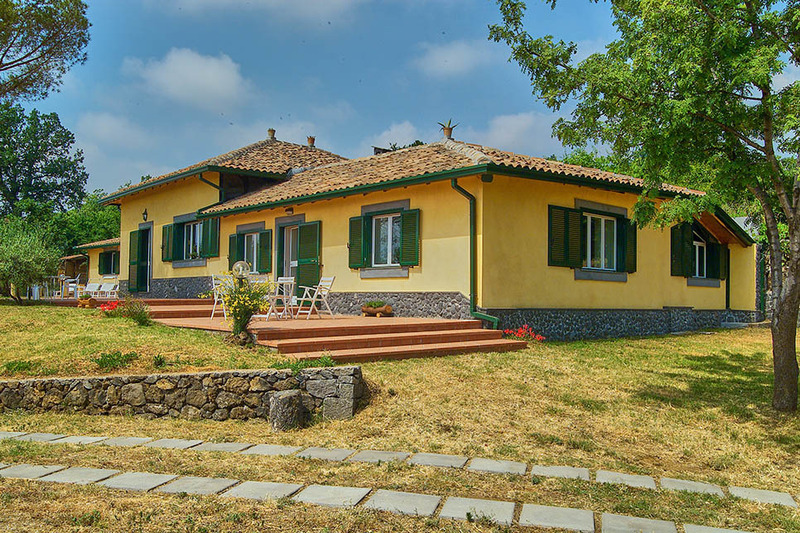 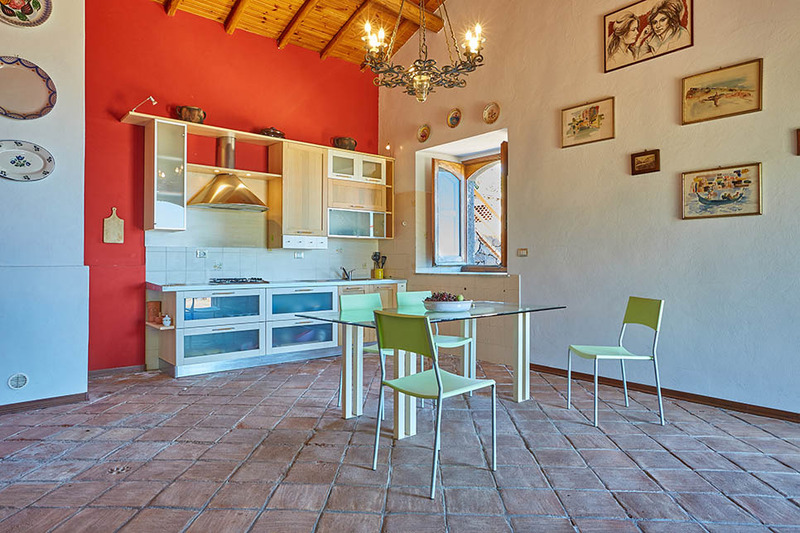 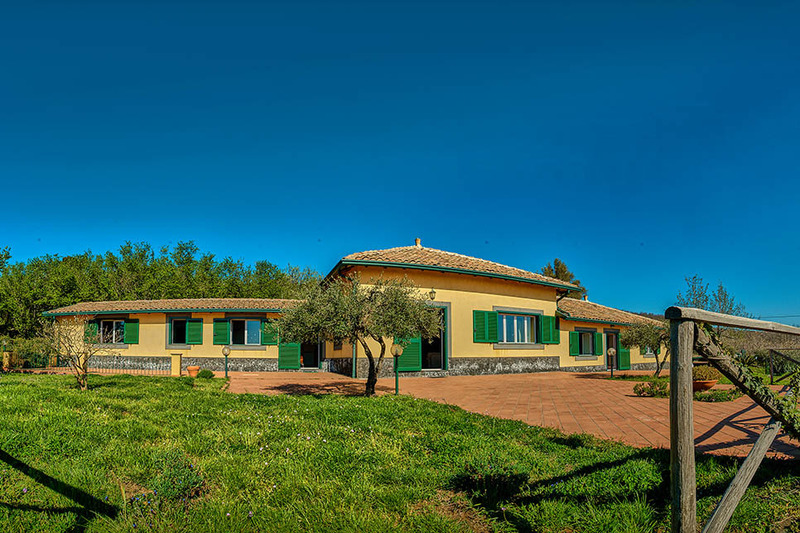 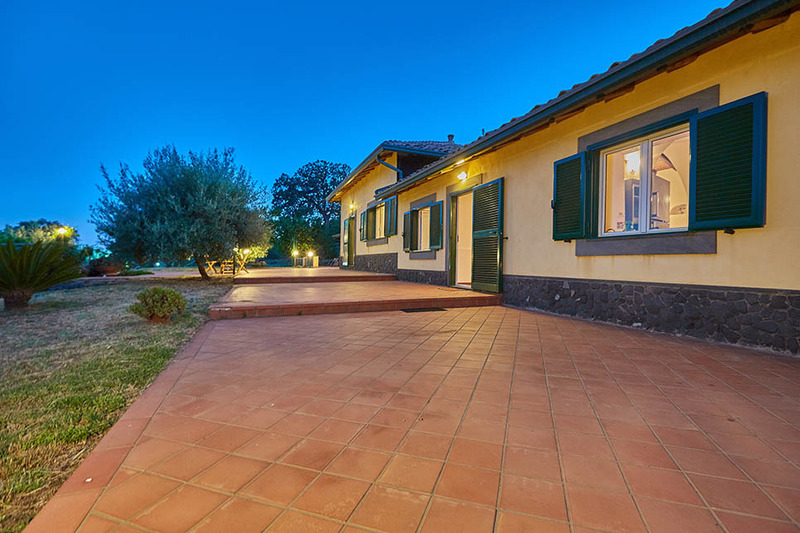 Cocuzzolo, a yellow-walled cottage with green shutters, also has three double bedrooms and three bathrooms (with shower). 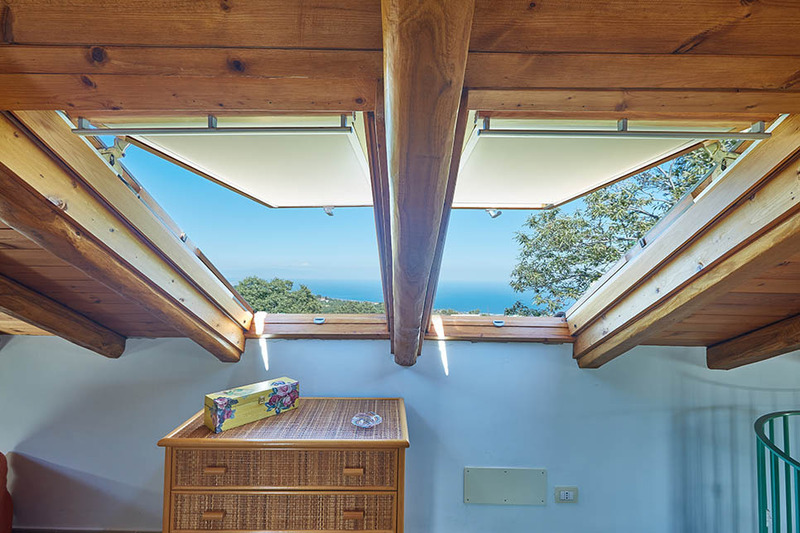 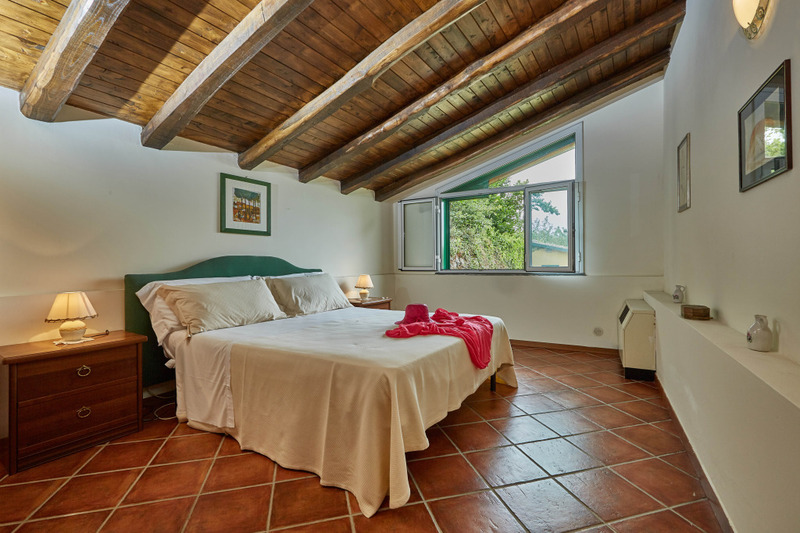 The third bedroom is on the upper floor with a sloping ceiling. 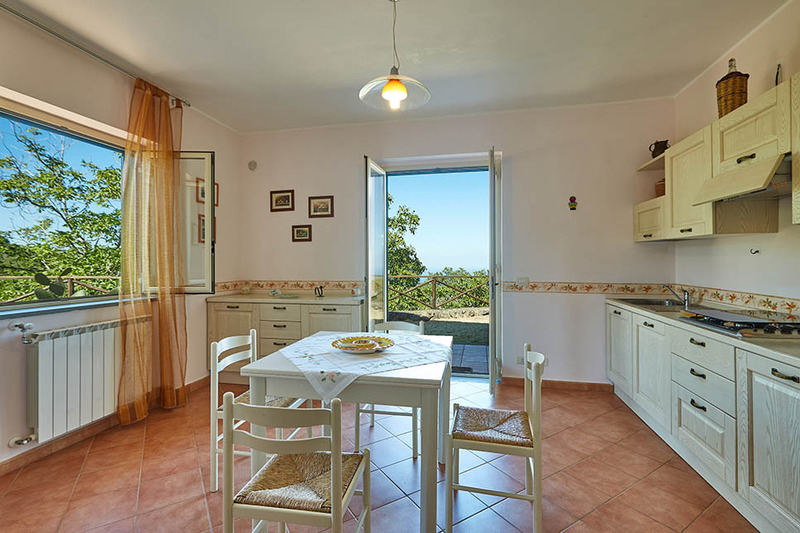 There is a small living room next to the kitchen which has double doors out to an attractive outdoor dining area with sea views. 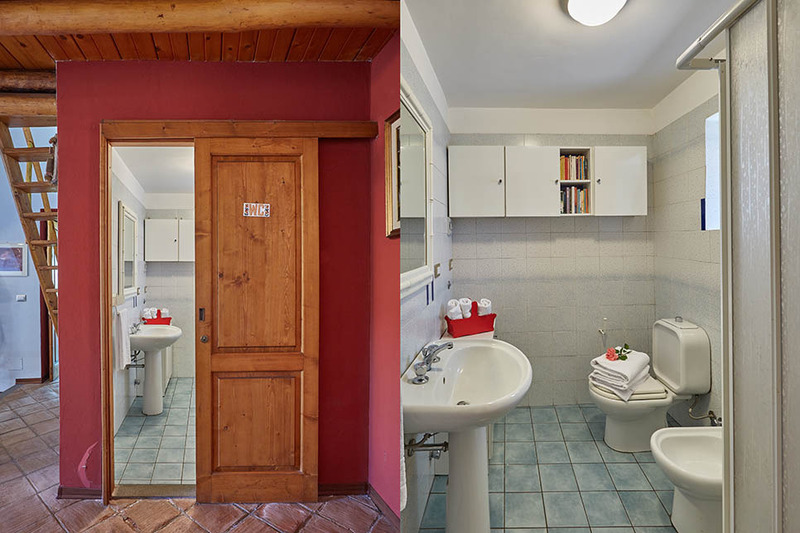 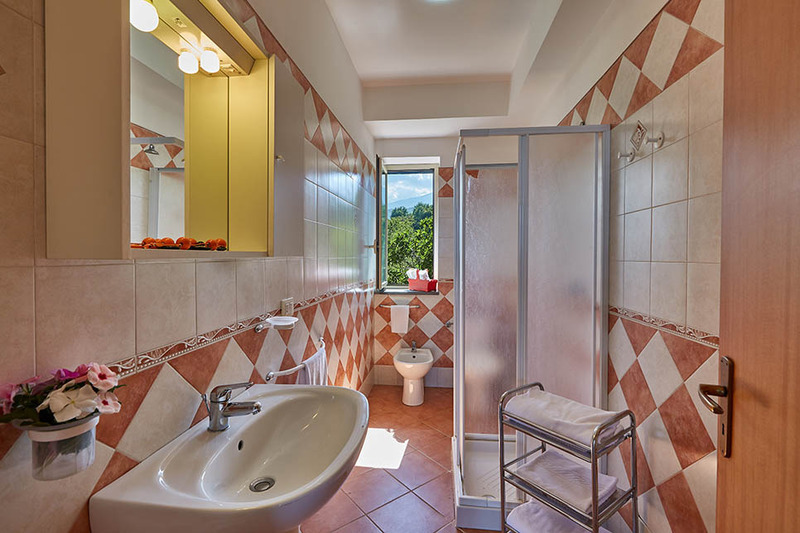 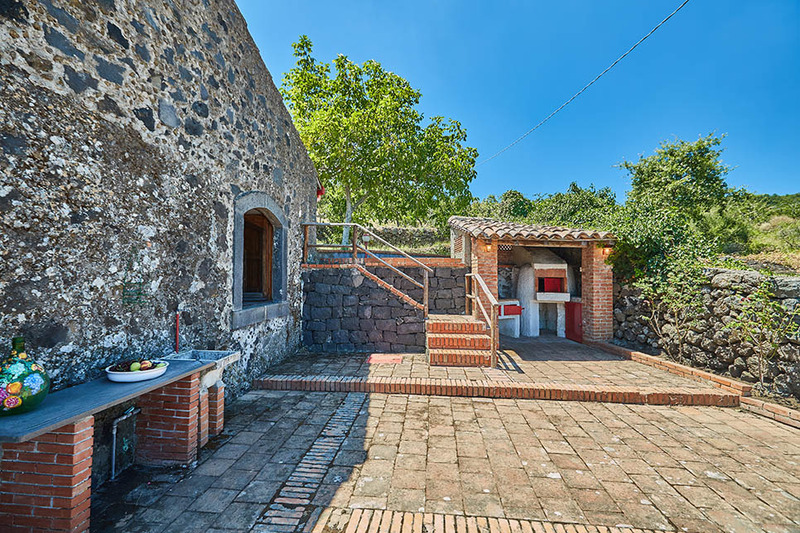 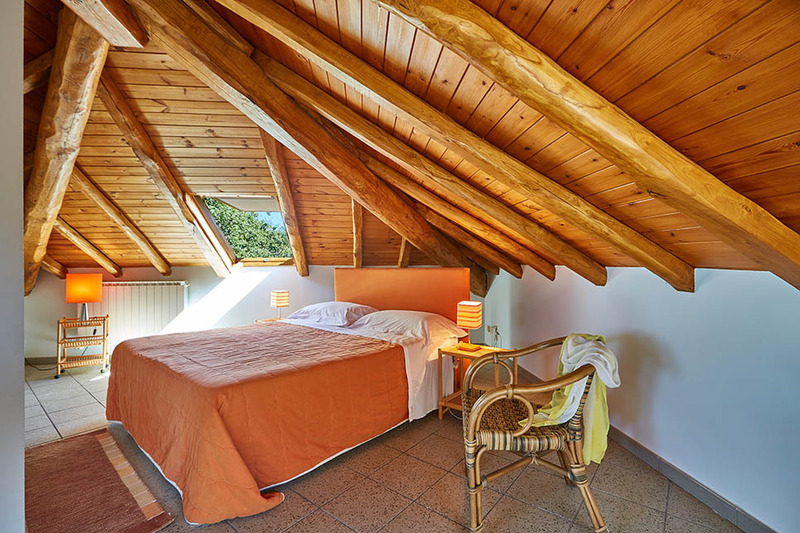 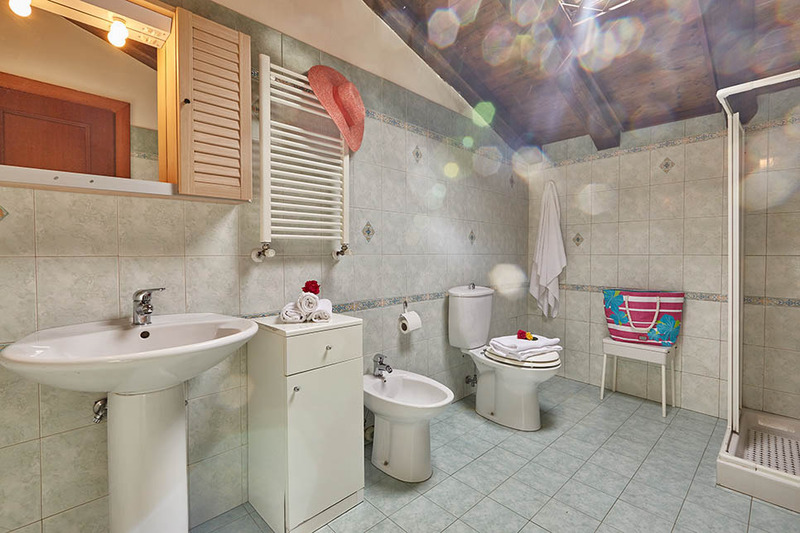 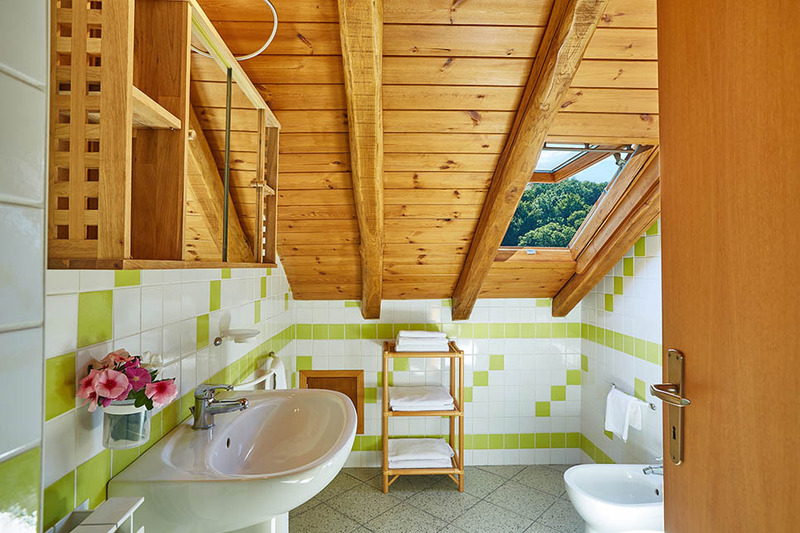 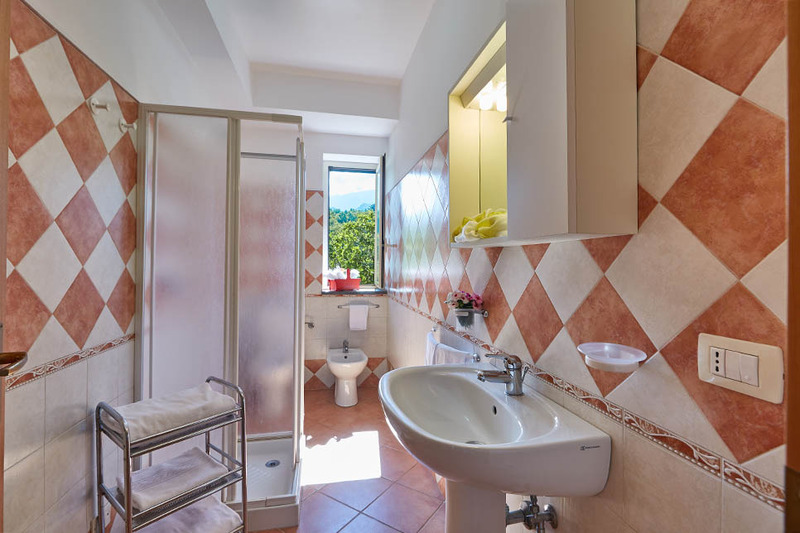 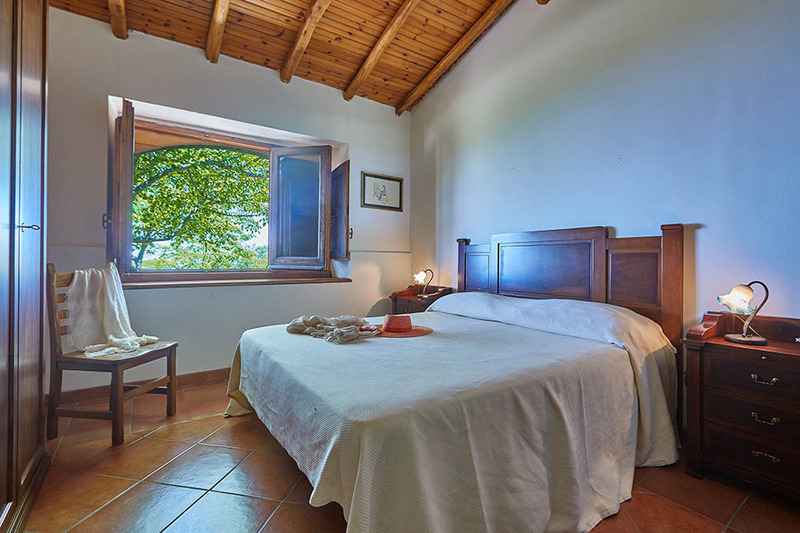 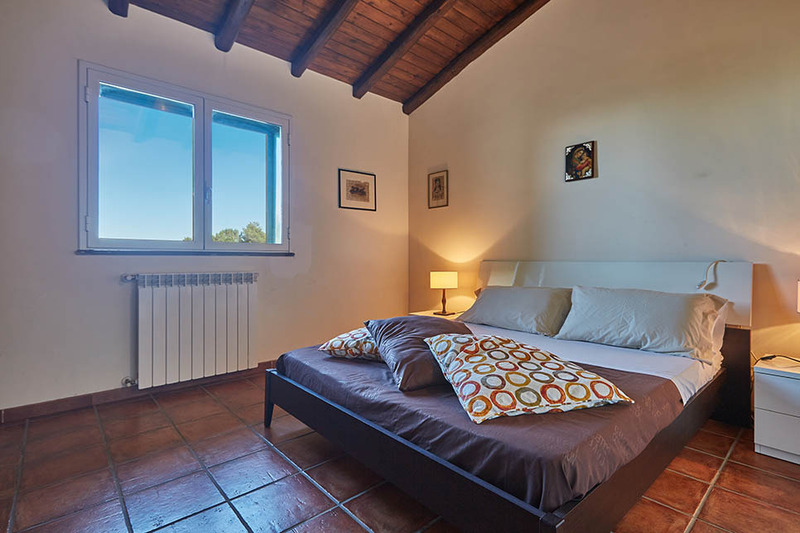 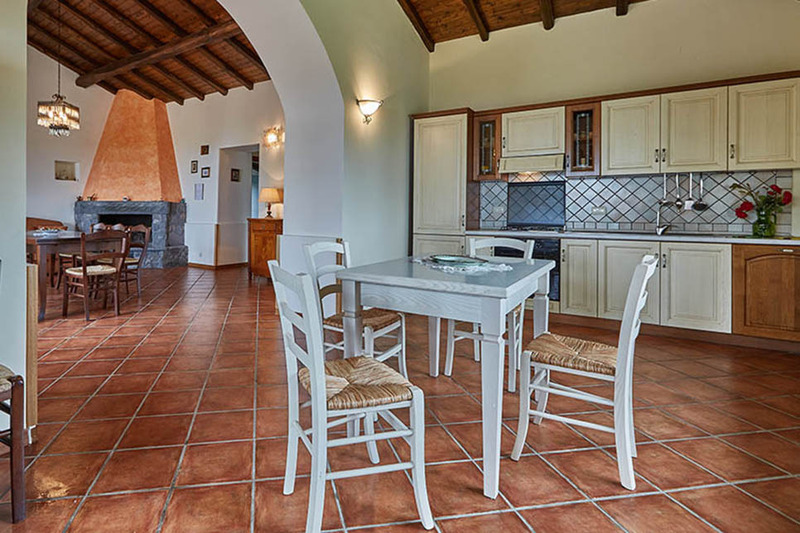 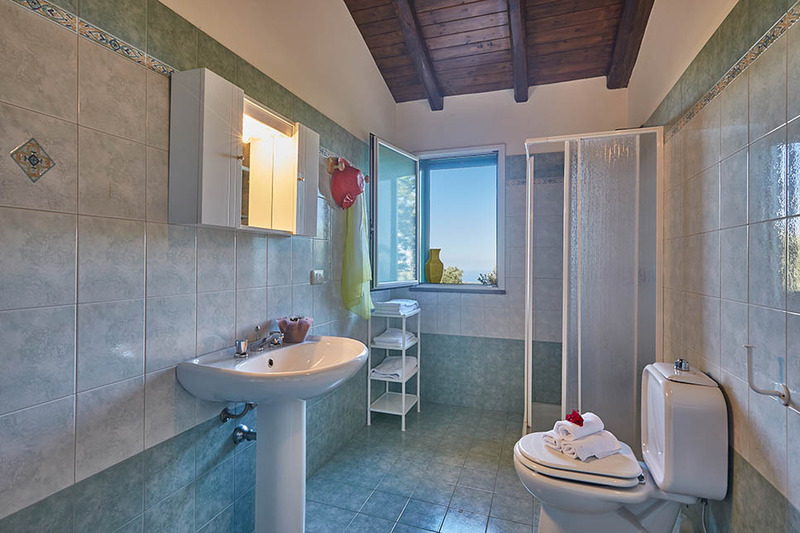 Tana is a small stone house with a double bedroom, two single beds on a mezzanine level and a bathroom (with shower). 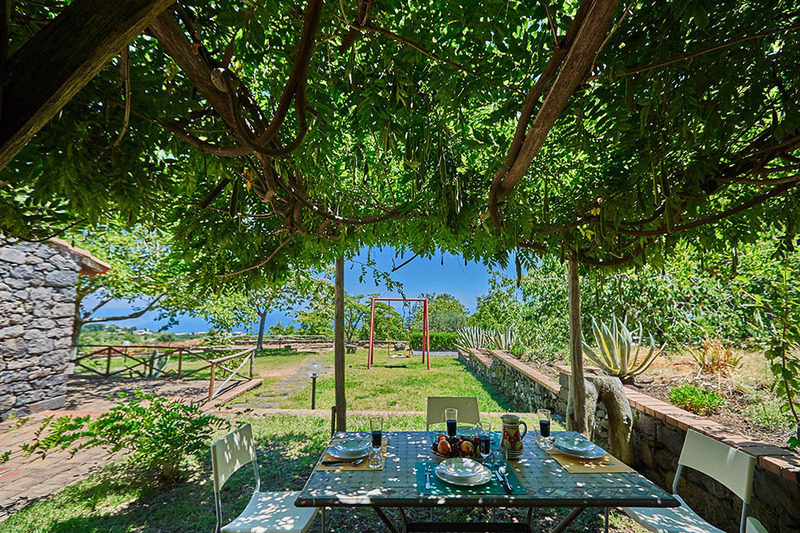 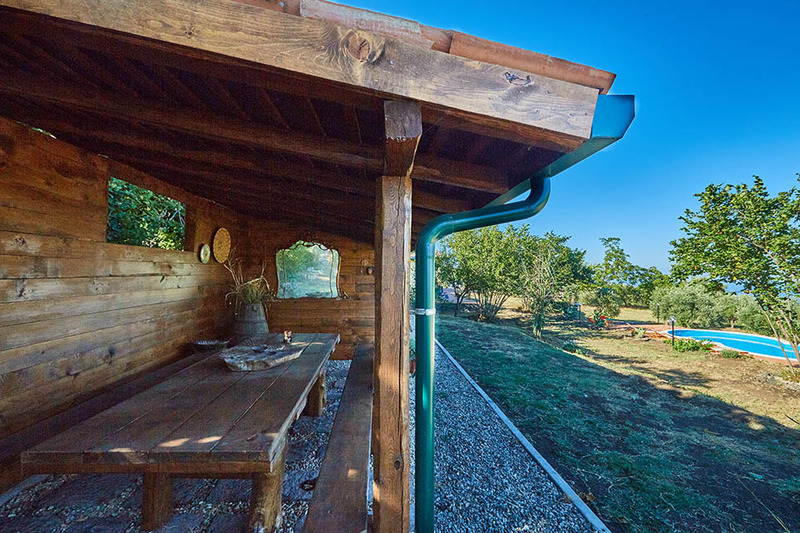 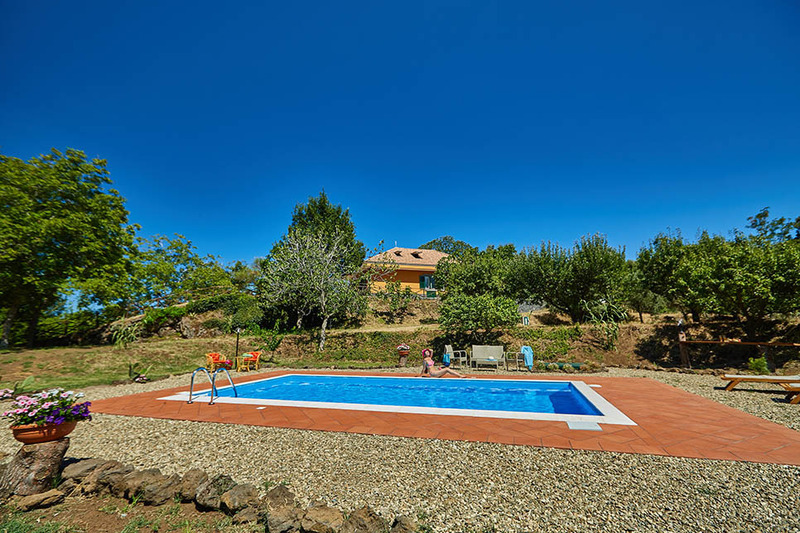 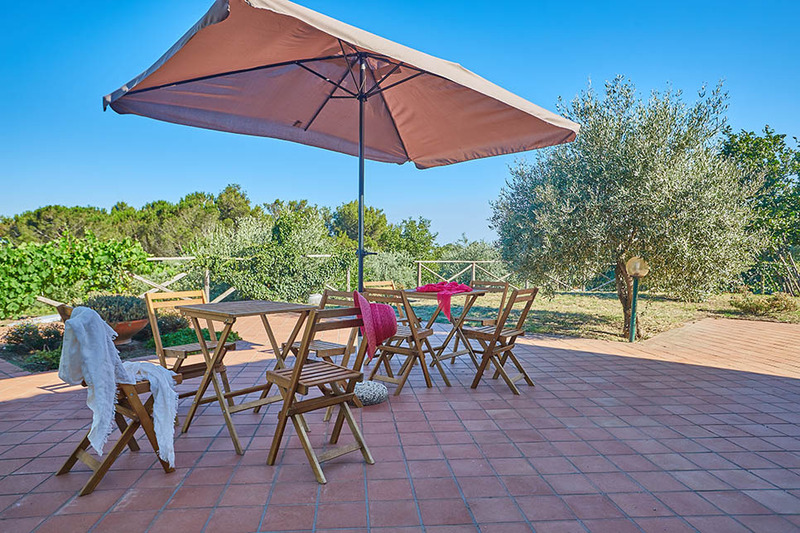 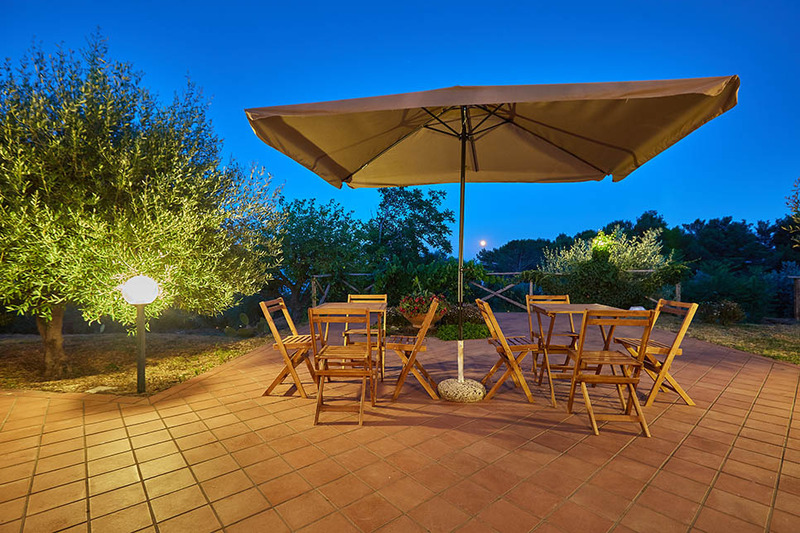 Directly in front of the cottage, there is a children’s play area with a swing, a boules area and a barbecue. 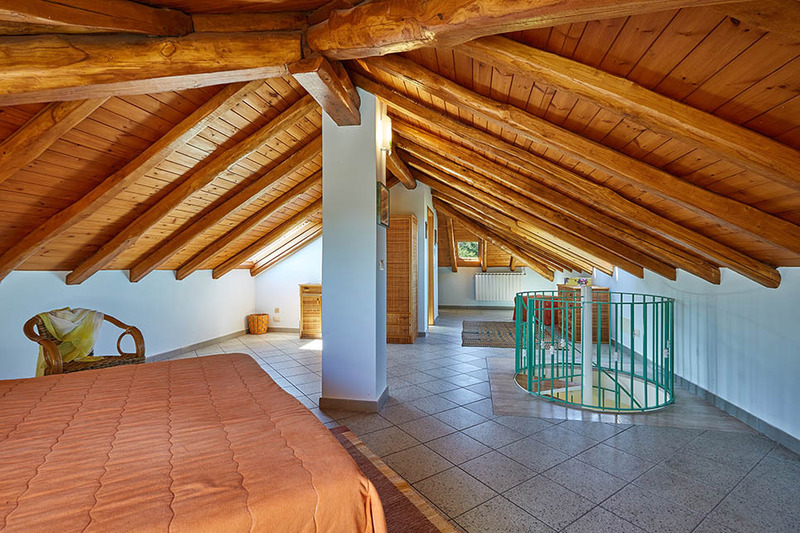 Refundable security deposit from euro 1000. 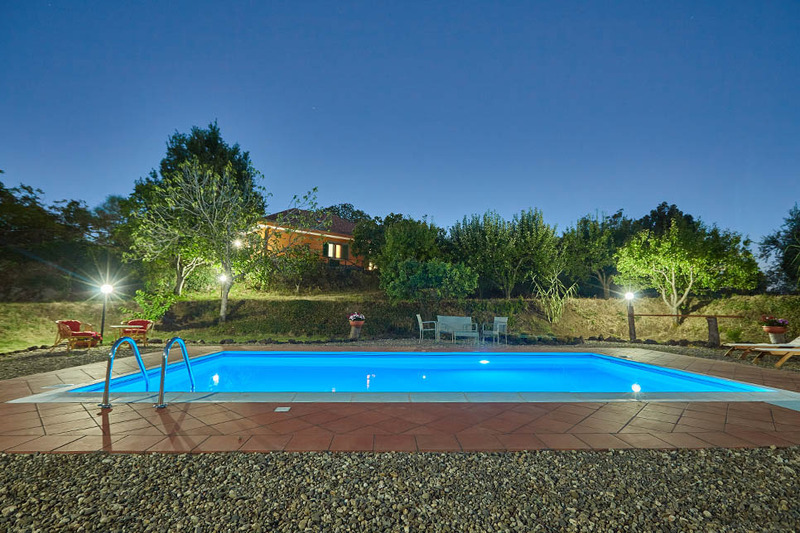 Electricity 500 kw/h per week included - € 0,40 per extra Kw/h. 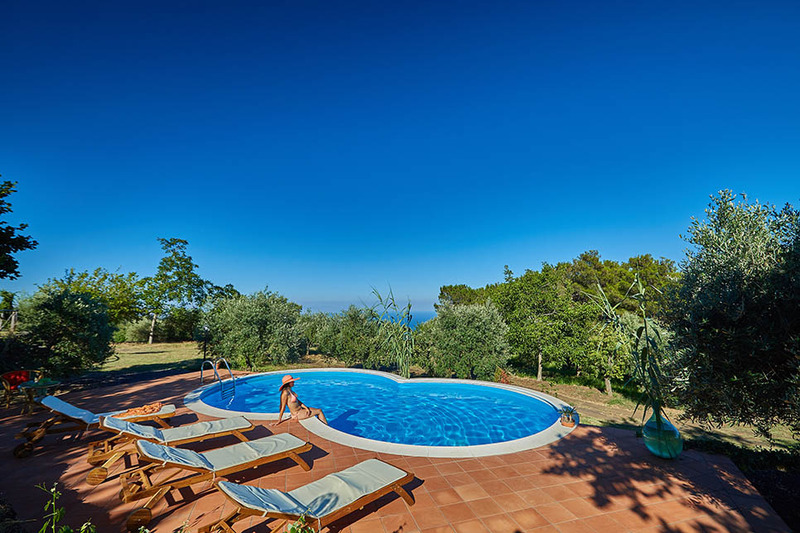 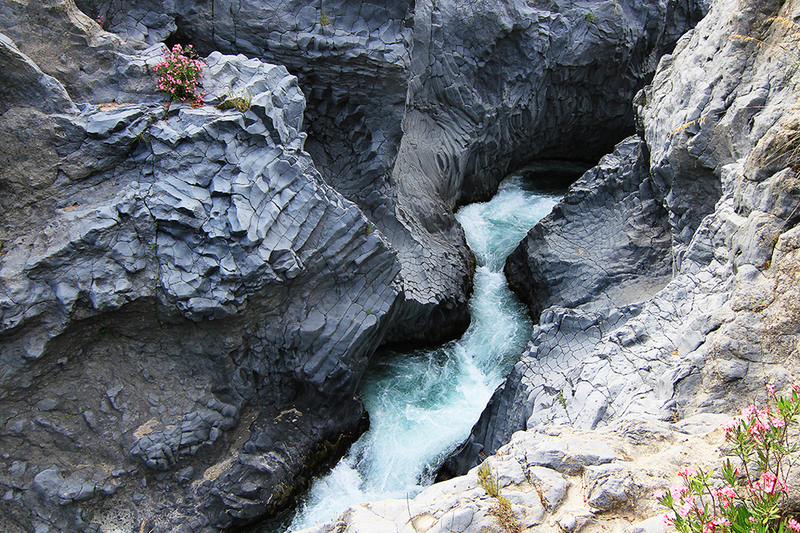 The pools are open to guests from April to October. 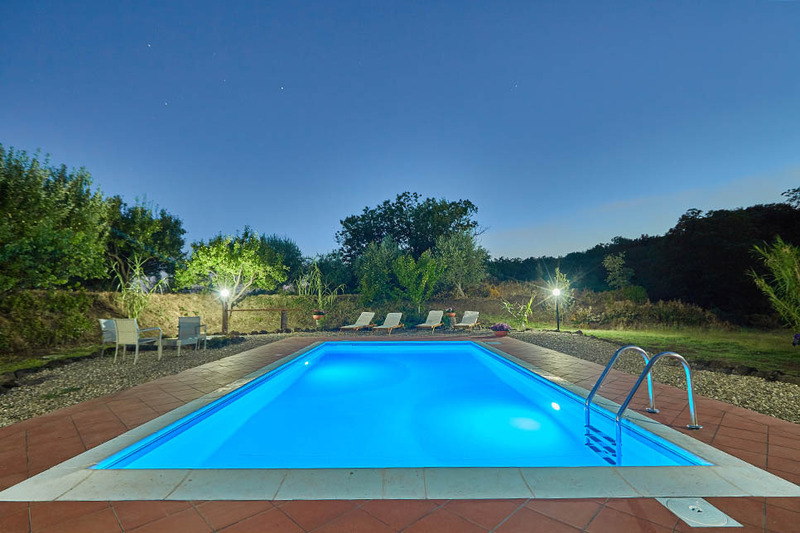 Late check-in after 10pm euro 50 to pay locally.